Being able to order cannabis online has been revolutionary for so many people. Those of us who don’t live near dispensaries, or who don’t have the time to visit one can now enjoy all of the proven medicinal benefits of cannabis by having it delivered directly to their door, thanks to online ordering. At Pacific West Bud, we offer our customers a huge selection when it comes to cannabis products for all types of needs. Find high quality strains of marijuana, as well as vaping equipment and some delicious edibles. We want our customers to be totally satisfied with our products and to be able to order cannabis online in an easy to complete manner, so we provide you with as much information as possible to help you do this. Being able to order cannabis online has brought a lot of relief to many people, as a lot of us do not have the time to visit or even live that close to a typical dispensary. However, we understand that people can be wary about ordering anything online, or have questions relating to ordering cannabis online. 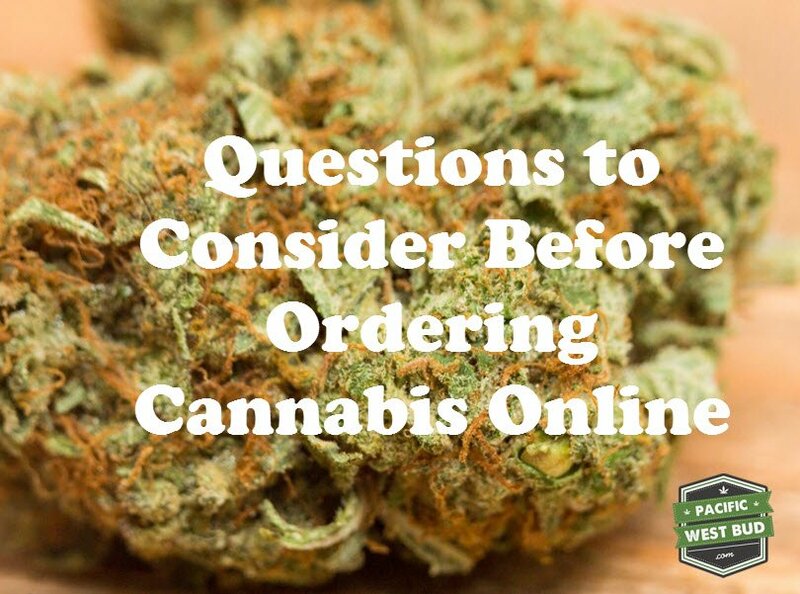 At Pacific West Bud, you don’t need to have a minimum order. You’ll see the sizes that we sell on our website. This allows our customers to try out different strains to find one that they like, before having to commit to a big order. We also offer express shipping so even if you are close to running out, it will only be a few days before we can have more on your doorstep if you do like your order and would like to try it again. Where can my mail order cannabis be sent? We ship all over Canada using Canada PostXpresspost. This means that you can get it sent to your home, you don’t need to pick it up from a specific location. We also offer discreet packaging for the products that are delivered to you when you order cannabis online through Pacific West Bud, so if you don’t want other members of your household to know what you are ordering, you have no need to worry. What do I need to submit an order? If you’re reading this blog post, then you likely have everything that is needed to order cannabis online with Pacific West Bud: A device to browse our website with, online banking to make your Interac e-transfer payment, and an email address. All you need to do is place your order, we’ll send you an invoice and then you pay us through an online transfer. It is extremely quick, so you can get your order through in a matter of minutes and have some high-grade marijuana delivered to you in a matter of days! Here is What You Should Know About Weed at Vancouver Airport.